Tracks have been washed out in multiple places between Churchill and Gillam. Mike Spence photo. Omnitrax, owner and operator of the Hudson Bay Rail line is continuing to seek government and First Nation help to fix the only land access to Churchill. Estimates of $60 million would restore the tracks to operation by the end of October. However, Omnitrax says they can’t and won’t do it alone! “It [the rail line] is not commercially viable, so we believe it’s a public utility,” said Peter Touesnard, chief commercial officer for Omnitrax. Peter Touesnard, chief commercial officer for Omnitrax. Jaison Empson BBC photo. Two March blizzards of epic proportions melted this spring into widespread flooding across the tundra from Gillam to Churchill. Water flows across the land since permafrost lies just beneath the surface and it does not percolate into the soil though. Instead, it flows across the land and when enough accumulates it can move with a powerful force destroying man made features in its path. The ensuing damage to the tracks between Gillam and Churchill have caused a storm of even greater proportions. With the crucial lifeline to the town inoperable and the main shipping line for goods and supplies cut off, food prices have dramatically increased and businesses have been forced to lay off staff due to soaring costs of securing the goods for their business to operate. “Omnitrax has an obligation to repair and maintain its line and maintain service to residents, and we expect Omnitrax to meet its obligations,” the statement reads. Churchill Mayor Mike Spence says the timeline for rebuilding portions of the track and replacing bridges and culverts is leaving very little wiggle room with regards to weather in the north. Churchill Mayor Mike Spence. Jaison Empson photo. “Our senior provincial officials have repeatedly asked Omnitrax for details about their independent engineering assessment and future intentions of the rail line including timetables respecting necessary mitigation efforts, details of insurance policies and status of claims, to which we have had no response,” Pedersen said. A third – party track assessment Omnitrax commissioned was completed by AECOM Canada and the engineering company identified 31 washout areas, 68 culverts and 13 bridges requiring repair over the 300 kilometer run of the track from Gillam to Churchill. 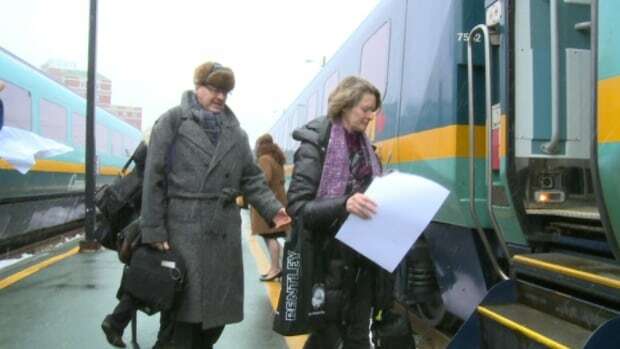 In June the Canadian government approved an extension for the Nutrition North food subsidy program so Churchill would be able to keep grocery prices at a somewhat affordable price until rail service resumes. With Manitoba Health also contributing to the subsidy effort the rate will be at $1.60/kg. Dennis Fast from Churchill captured these magnificent colorful polar bear shots in glowing fireweed. The unique photos were published by CBC News to highlight the way polar bears playfully interact with their surrounding environment. We view them most of the year in snowy settings, however with sea ice melting earlier in the Spring, polar bears are arriving on the coastal lowlands earlier and more often throughout the Arctic summer months.